Do you plan to work in the United States after finishing your degree? 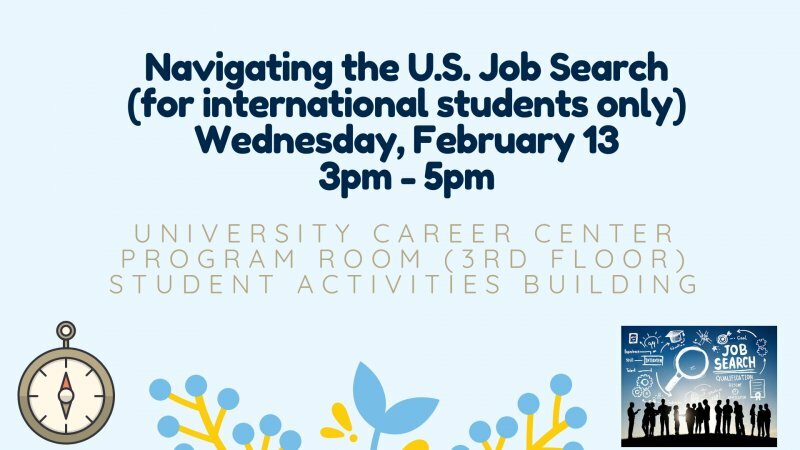 This program is designed to help international students maximize their chances of finding employment in the US after graduation. 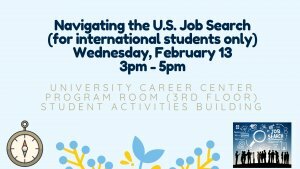 We'll discuss interview preparation, resume writing, cross-cultural issues, networking, and ways to identify appropriate opportunities. We'll also provide an overview of immigration regulations pertinent to international students, and University Career Center services that are available to you on this campus.